Hindi channel Rishtey has popped up on Freeview channel 77. It's the first Hindi language channel to launch a terrestrially distributed service across the UK. 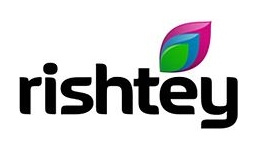 Rishtey is operated by Viacom 18, a joint venture between Channel 5 owner Viacom and Mumbai's Network 18 group and provides a range of free-to-air entertainment programming in Hindi. Viewers require a device that is certified to work with Freeview HD, Freeview Play, EE TV or YouView to watch the channel (more details below). The channel launched in the UK in 2012 and is also available on Sky, Virgin Media, Freesat and the TVPlayer streaming service. Rishtey has joined the same group of channels - or multiplex - as BBC Four HD, Al Jazeera English HD and 4seven HD, and is available to around 70% of UK households. Until now, Hindi language services on Freeview have been constrained to internet delivered hybrid services, such as TVPlayer on channel 241 or via short-lived transmissions in the Greater Manchester area. You need to have a TV or box that is certified to work with one of the following services: Freeview HD, Freeview Play, EE TV or YouView. You need to already be able to receive BBC Four HD on channel 106 or Al Jazeera English HD on channel 108 - it's broadcasting on the same frequency. If you have these channels, you may need to retune to get Rishtey Europe. Technical information: Service Name: Rishtey Europe; Multiplex COM7 (operated by Arqiva); Broadcast data: DVB-T2, MPEG4/AVC, standard definition; PID: 41216, VID: 2011. Resources | Where can I find Rishtey Europe on cable, satellite, terrestrial and online? I have removed your message to protect your personal details being made public, but note your disappointment. Freeview has been unable to confirm why the channel operator pulled the channel and can't say if it will return. Rishtey won't provide more details. If Rishtey is not returned soon, then its channel number allocation will be rescinded.